There are more than a few misconceptions about Sin CIty. But if you think Las Vegas is just this one lonely spot in the middle of the desert then... um, you’re probably right. But there are a few spots worth checking out that are just a (relatively) short drive away. 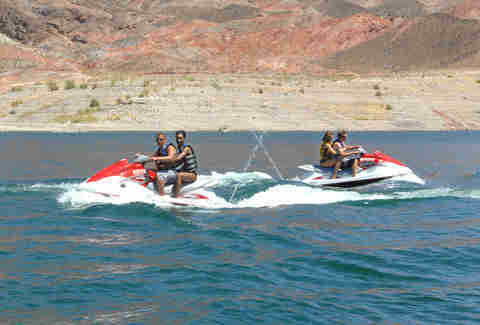 Why it made our list: It’s is the closest big body of water to Las Vegas, so everyone comes here to ski, swim, and boat. It’s also the only real source of usable water in Southern Nevada and levels are dropping rapidly. Check it out while you still can! 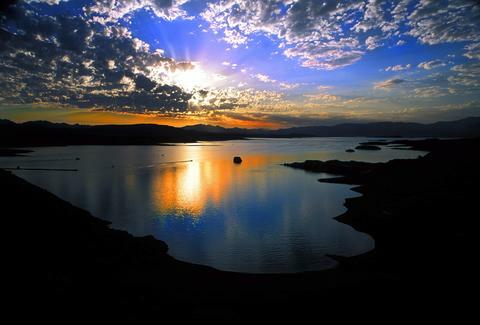 Pro tip: A day pass for the Lake Mead Resort & Marina is $10 per vehicle. But if you plan on coming back, the yearly pass is a far better deal at $30. 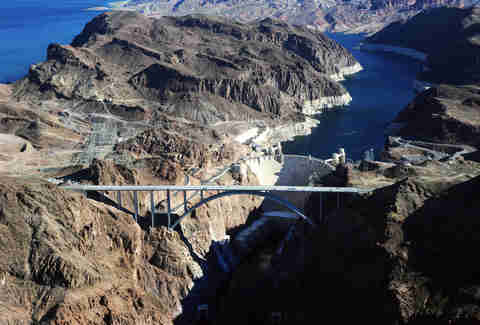 Why it made our list: Boulder City, NV is the closest town to the dam and has a small tourism industry based around the engineering masterpiece, the construction of which pretty much set the stage for modern Las Vegas. But you may find it more fun to go four-wheeling or zip-lining at Bootleg Canyon and grabbing a beer at the Boulder Dam Brewing Co. Pro tip: Boulder City is one of the few areas in the entire state where gambling is illegal. So if you need a fix, stop while driving down on US 93 and play a few slot machines at the recently renovated and re-opened Hoover Dam Lodge, previously known as the Hacienda Hotel and Casino. 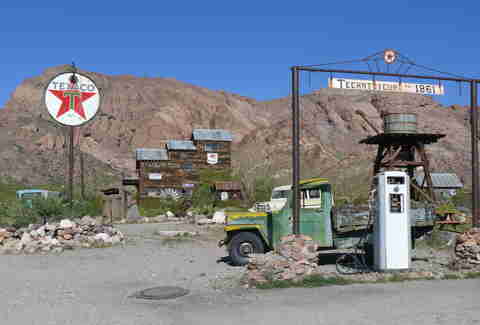 Why it made our list: This spot is the perfect example of an Old West ghost town in Nevada, with an abandoned general store, gas pumps, and vehicles. It all sits above what was once the biggest, richest, and spookiest gold mine in Nevada. Pro tip: Bring a real camera. Not just your cell phone. Eldorado Canyon is known as one of the best spots you’ll find anywhere for a photography session. Point your camera anywhere and you’ll get a perfect shot. Why it made our list: The sandstone formations date back to the dinosaurs and appear to actually be on fire when the sun reflects off ‘em just right. Hence the name. 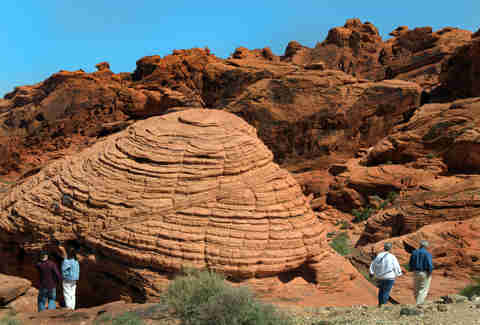 It also looks like Mars so much, parts of Total Recall were filmed here back in the late ‘80s. Pro tip: Keep your eyes peeled for petroglyphs, which are drawings on stone walls by ancient civilizations. Think of it as old-school graffiti. Why it made our list: For a town of just 37,000 people, there’s a surprising amount of fun stuff going on around here, including the only two wineries in Southern Nevada, a couple impressive golf courses, and Spring Mountain Motorsports Ranch, where you can learn how to race a Corvette, or learn how to fly above the lake in a water-powered jetpack. If you’re in a naughty mood, there is also Sheri’s Ranch, the closest legal brothel to Las Vegas. Heck, even Vince Neil is planning to open a bar here soon, which may or may not be a good thing. Pro tip: Check out the Front Sight Firearms Training Institute, considered by many to be the top weapons training and self-defense school in the world. Why it made our list: Laughlin is unfairly known as a “mini Las Vegas” and was the basis for a TV show a few years ago called Viva Laughlin that was so bad, it was cancelled after just three episodes. While its neon lights are no match for what you’ll find in Vegas, it does have a few things to offer, such as a sweet riverwalk, tons of outdoor activities, and the Laughlin River Run, a massive annual motorcycle event. You’ll be in hog heaven. Pro tip: The Colorado Belle isn’t really a riverboat. 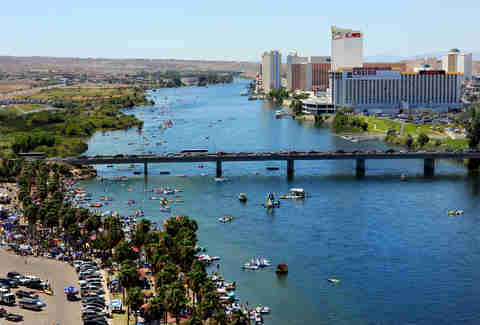 It’s just a hotel and casino on the river made to look like one, but skip the tower rooms and get a “boat room” anyway. They are a little nicer and tend to have a better view. Why it made our list: Death Valley, with the the highest recorded temperature in history at 134 degrees, is the lowest, driest, and hottest place in North America. But it’s also fun! 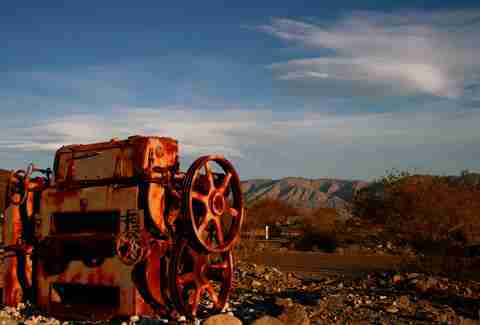 Tours will take you out to the 282ft-below-sea-level Badwater Basin, abandoned gold mines, ghost towns, and the “Devil’s Golf Course” with jagged salt formations left behind from a lake that evaporated thousands of years ago. Pro tip: There’s also Scotty’s Castle, a historic villa dating back to the 1920s. 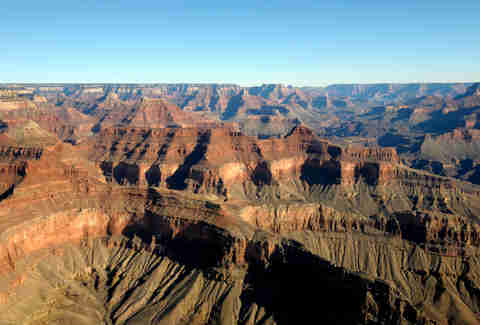 But keep in mind, it’s even farther away, hard to reach, and could add hours to your trip. Why it made our list: Hit the road and travel through Nevada, Arizona, and finally Utah before the desert suddenly gets a lot more green. You’ll find yourself walking among trees, waterfalls, rocks, and up to 19 different species of bats. Pro tip: Not all hiking trails are created equal. 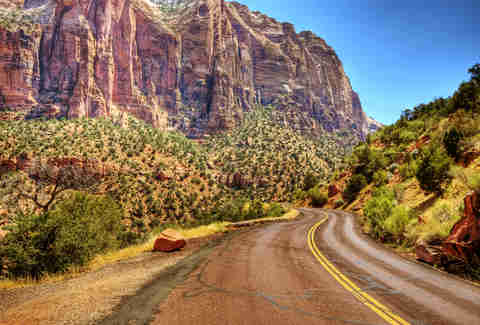 The infamous Angels Landing is a 2.5-mile hike with steep and narrow pathways. It even comes with a warning sign with the number of people who have died on the trail. Why it made our list: You know the deal. It’s the biggest hole in the ground in the United States. There are more than a few tours that originate from Las Vegas, including some by helicopter, which can be worth the extra expense to save some time and avoid a bumpy road trip. Pro tip: The South Rim is the nicest part. It’s cleaner, has the best views, and is run by the National Park Service. The Hualapai Tribe runs the West Rim and operates the famous skywalk. Stay away from the remote North Rim. Why it made our list: When someone says “road trip” and “Las Vegas”... nine times out of 10, they are talking about Southern California. So hop in your car and start driving southwest on Interstate 15. You’ll hit Baker (stop for gas), then Barstow (stop for Starbucks), then San Bernardino (keep going) before finally, Los Angeles. But what makes the trip worth the drive is going all the way to Santa Monica so you can finally see the coast. Pro tip: While on the way, stop at the border at Primm, where there is a convenience store built just steps over the state line strictly for the purpose of selling Powerball tickets (legal in California, not Nevada). 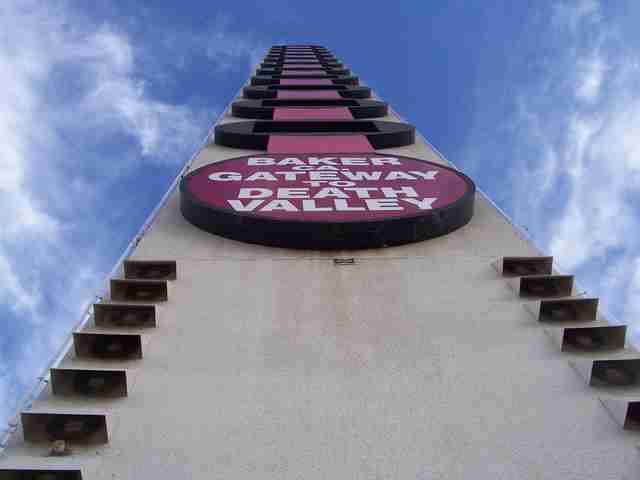 Otherwise, you can always check out the world’s largest thermometer in Baker.